SMARTePLANS® are PDF files, which are easily accessible across a wide range of browsers and devices around the world. 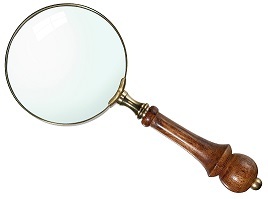 In addition to being easily accessible, they MAGNIFY or ENLARGE your viewing screen online. There is no such thing as “too small”, each viewer can adjust the magnification to suit their own needs on the device they happen to be using at that time. I personally hate to see a graphic onscreen that I can’t enlarge, and find it very frustrating as I squint and try to get a closer look. Locate the tool bar in the PDF Reader ….it can be in the top tool bar. Or it may be “floating”…. typically as you roll your mouse towards the bottom of the screen, it will appear. On the tool bar — tapping the magnifying glass with the plus sign will enlarge the image and tapping the magnifying glass with the minus sign will decrease the image.